Detailed turret rotates 360 degrees, main gun elevates up and down, and commander's hatch opens. Hull details include: bow machine gun, driver's hatch, spotlight, handrails, two gas barrels, oil barrel, tow chain, and two rear access hatches. Unit markings with "Victory" tank slogan decals and printed step by step building instructions. 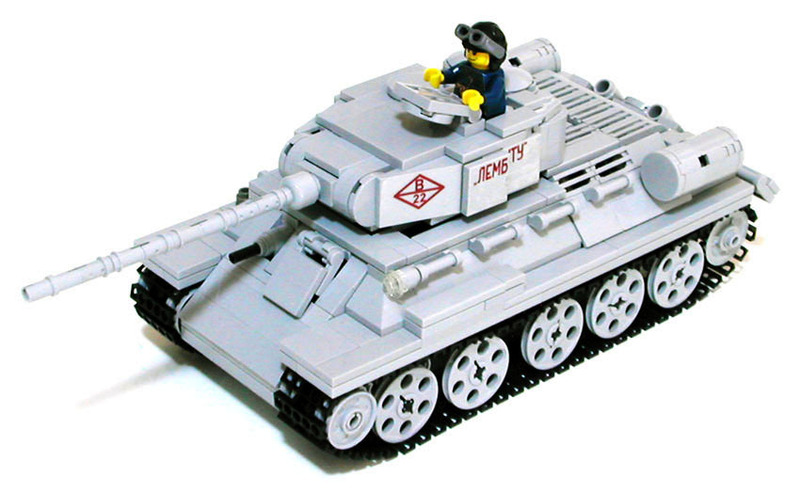 Includes Russian Tank Commander minifigure.